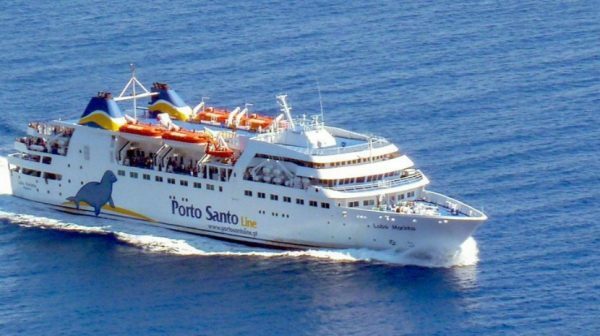 The More Porto Santo recalls that a new isolation of Porto Santo is due very soon, due to the stop of the ship Lobo Marinho, for the usual maintenance and annual revision. “At this moment, we only know that the last voyage between islands will take place on January 3. We do not know when the ferry will return to the active, a situation at least inconceivable and bizarre, which justified another kind of attention by the Government Regional “, regrets the Councilor José António Castro, considering that this situation has to be solved definitively. “We have nothing against the operator who holds the concession of the ferry line, but it is the same every year, without a replacement ship, to safeguard the economy and tourism of Porto Santo through passenger mobility. It is true that the people of Porto Santo will be able to travel by plane to Madeira for the price of a sea connection, so that Madeira’s people go to Porto Santo, prices are prohibitive, a real attack, since a fifteen-minute trip costs almost This has serious consequences for our economy, for us, from Porto Santo, who live a month in January (and a few days in February) isolated from the World. it is enough, but not in isolation, all together, because this is not a party flag, A, B or C. This is a common problem, and in that sense we challenge the executive chamber and all opposition to join us in this struggle, in the sense of claiming a right that assists us, in a united, coherent and impartial manner, “argues the leader of the movement of independent citizens. For José Antonio Castro there is a solution to this eternal problem, but it is dependent on the political will of those who govern the destinies of the Region. “Except in exceptional cases, especially caused by bad weather, the public service has to be safeguarded in all circumstances and maritime connections have to be made throughout the year, because it is vitally important for the economy of Porto Santo and excludes isolation. The Regional Government has to assume this responsibility and move forward with decisions, because Porto Santo is also the territory of the Autonomous Region of Madeira. We are aware that there are structural and permanent costs of the double insularity, but the survival of our fragile existence deserves an argument that has to go far beyond mere financial reasoning, “points out the councilor of Mais Porto Santo.